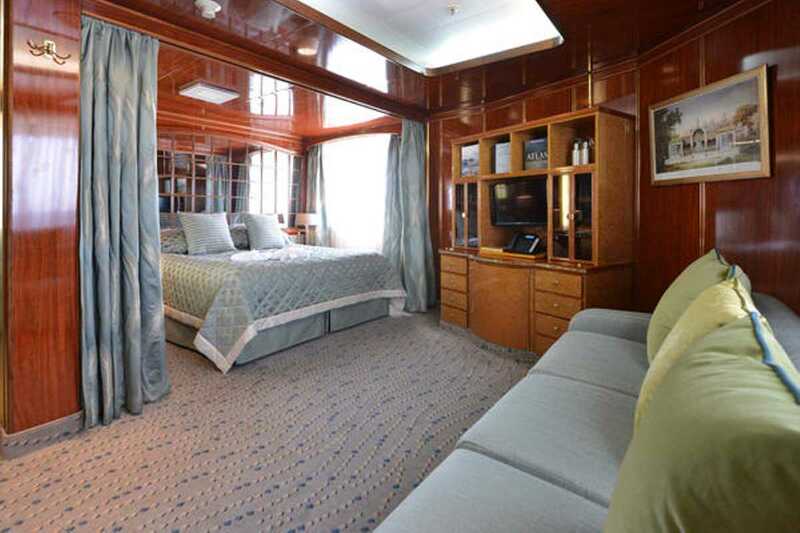 Built in Italy in 1992, Hebridean Sky, with her elegant lines, luxury all suite accommodation and attention to detail is ideally suited to travellers who don't want to compromise on comfort while exploring. She is almost matchless after her $10 million upgrade in 2016. 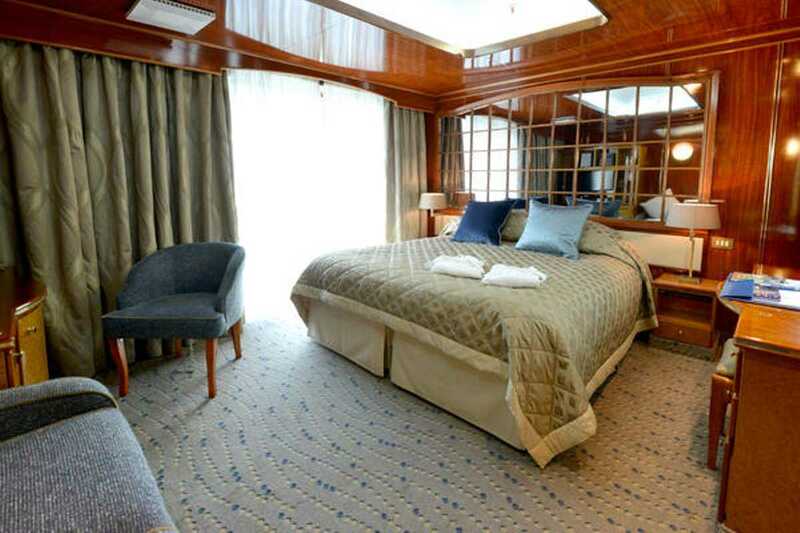 The ship was beautiful, the room perfect size and the steward a pro. 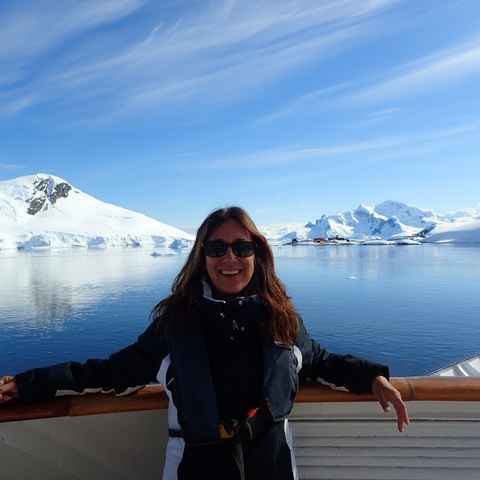 The recommendation to choose this ship (100 passengers only and the spectacular aft deck) was absolutley right for us. Getting to visit the Bridge at almost any time was a highlight . The Hebridean Sky was a great ship with wonderful expedition staff and crew. 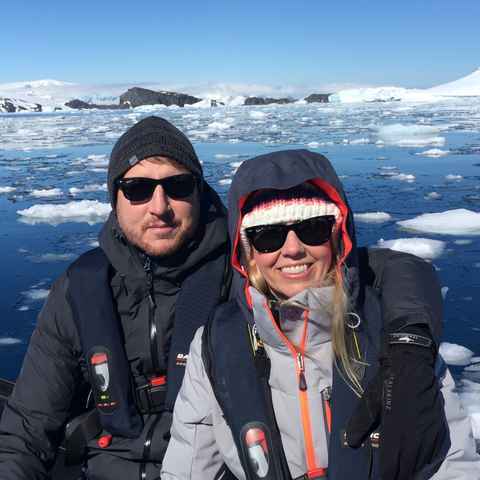 The expedition staff were all very experienced and highly educated in a variety of areas. The lectures, movies and impromptu discussions lead by them were a real treat. Hebridean Sky is a 5 star experience all the way. The boat was outstanding, as was the friendly and helpful crew. It felt like somebody was there with anything I could have needed - they were at least two steps ahead of me at all times. Our trip truly exceeded our expectations. We've been on many cruises, but the Hebridean Sky was without a doubt our favorite ship. The food was by far the best of any cruise line we've traveled on in the past. Very attentive and knowledgeable staff. 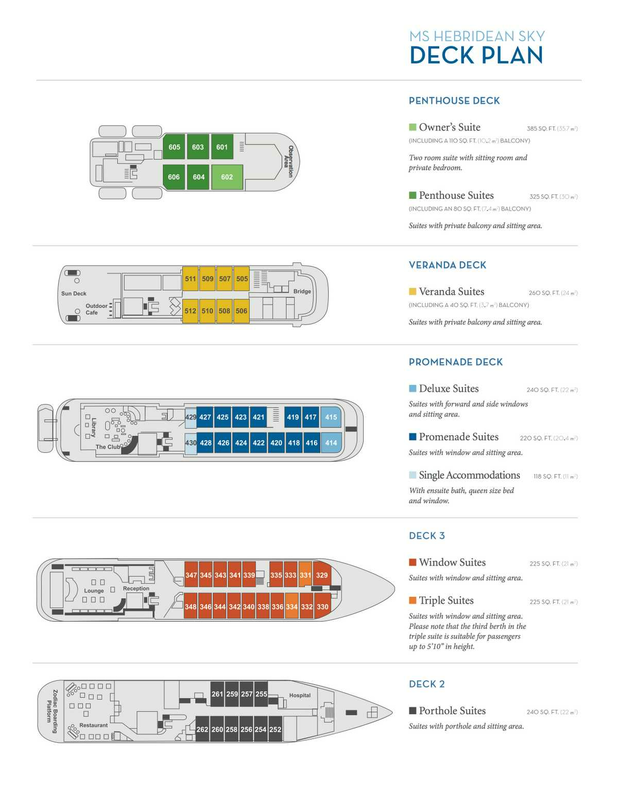 Onboard lectures were very informative and useful. The rooms were top rate and food superb. 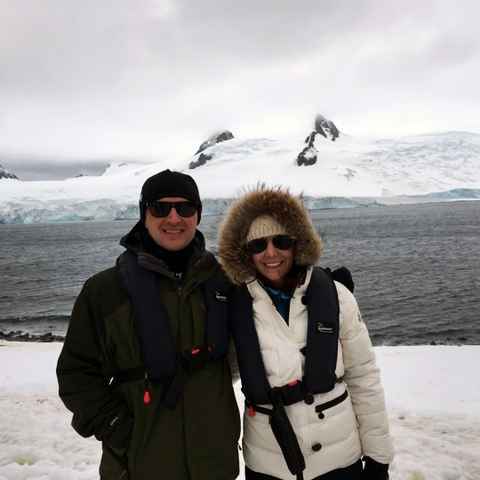 The captain chose the times re Drake passage and avoided the storms. The boat staff were all efficient, courteous and kept the boat immaculate. Best cruise we have done. The Hebridean Sky was a great boat and very comfortable - much more so than expected. We were really pleased with the wonderful support from Swoop, and the wealth of information provided by them. We appreciated Swoop's help in recommending Hebridean Sky as it proved to be the perfect trip for us. 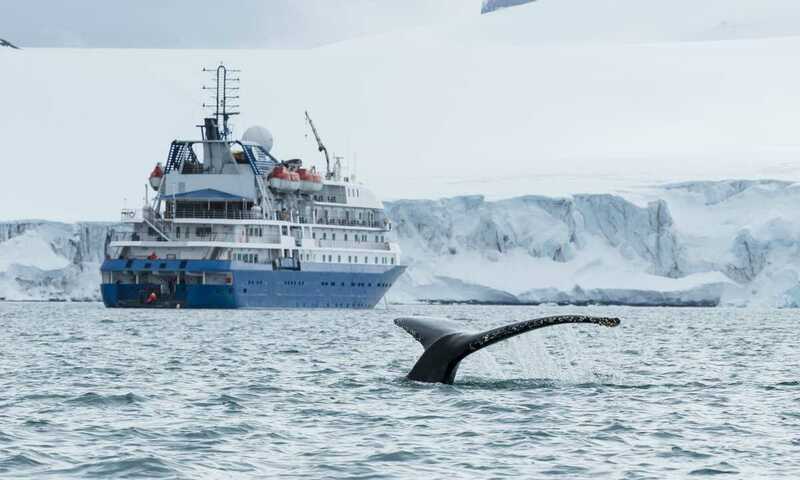 We especially loved the excursion nature and scientific approach of the voyage. The food and wine was of a high standard and there was plenty of both variety and quantity. 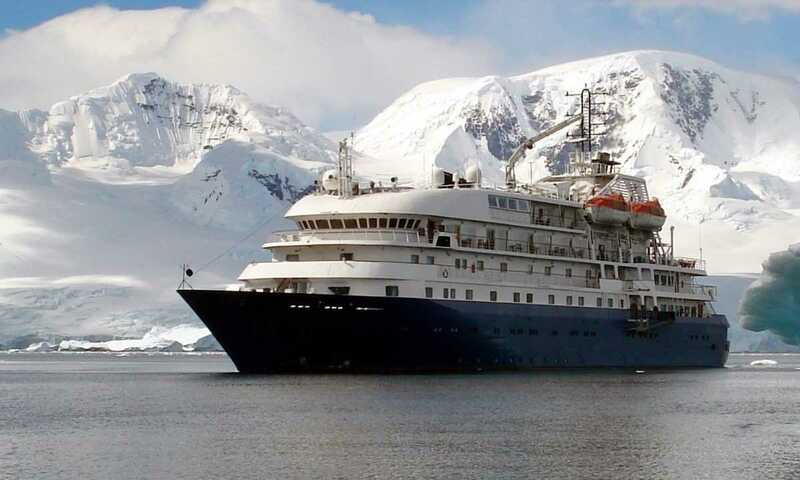 The Hebridean Sky is an exceptional ship of the right size, comfort, and luxury for such an Antarctic journey. The food was plentiful, of superb quality and variety. The ship was spotlessly clean and the cabin staff were excellent and made every effort to ensure all passengers were well treated and happy. The Hebridean crew were amazing and everything was so organised with lectures and landings. I liked how the crew ate with us and shared stories. I am back, and I must say that this was the most amazing experience of my life. So much so that I did not want it to end, EVER! Every aspect of this voyage was beyond expectations. I was amazed with the elegance of the Hebridean Sky. Our room was spacious and furnished beautifully. Anyone interested in going on this trip, I would be sure to tell them about our experience. It was perfect. Unbelievable! Perfect in every way. Swoop and especially Loli, were terrific from initial contacts to getting on the ship. I can't imagine a more perfect ship than the Hebridean Sky! 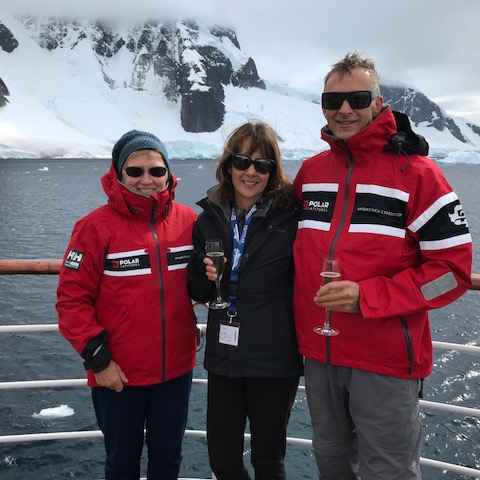 I've been onboard the Hebridean Sky and have to say it's rare to find a ship which combines such comfort, classy suites and great food with an outstanding expedition team - worth every penny. 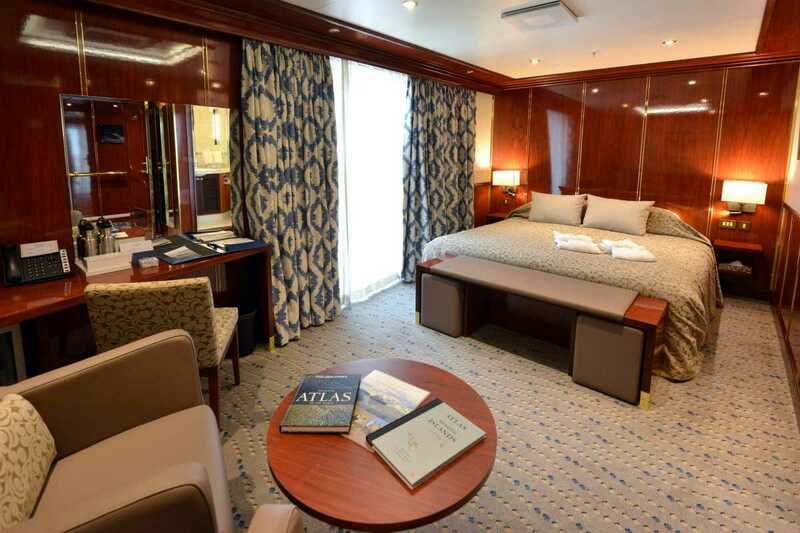 Following her 2016 renovation, all suites on board will be outward-facing. Each one is at least 225 square ft (~21 square meters) and offers a choice of either twin- or queen-sized bed, flat-screen TV, mini-bar and sitting area with a sofa-bed, independent temperature controls and a marble-appointed en-suite bathroom. Owner’s, Penthouse & Veranda Suites include all stardard features plus: En suite Champagne & Chocolates on Arrival, Complimentary mini-bar (beer, wine & soft drinks), En suite Nespresso machine. Promenade & Deluxe Suites include all stardard features plus: En suite Champagne & Chocolates on Arrival, Complimentary mini-bar (beer, wine & soft drinks), En suite Nespresso machine available on request. The third berth is suitable for those up 5' 10" in height. Please note that this is only for light data traffic and that the above prices are only approximate. There are two public computers available in the library for internet access. Data packages prices are starting at $18 for 300min. However, prices vary over the season and should serve only for illustrative purposes. Satellite phone works at all times, VoIP requires internet connection.